Sherri Cassara Designs: The "Feelie Hearts"
I am re-reading a book that I have not read for many years. I haven't thought about the book for years until I had a conversation with someone last week who was hurting and the book came to mind. I asked if he had ever read it and he had not so I told him I would lend him mine. I decided I would read it again before I saw him next week. I have read a lot of books and my library is filled with them, but only the books that I feel are special; ones that I would read again, or want to remember, or think that I might want to lend out one day. Often I will read a book in paperback and love it so much that I will purchase it in hardback just to have a nice copy in my library. Other times, I will purchase many copies of a book and give them out as I see fit. This is one such book. 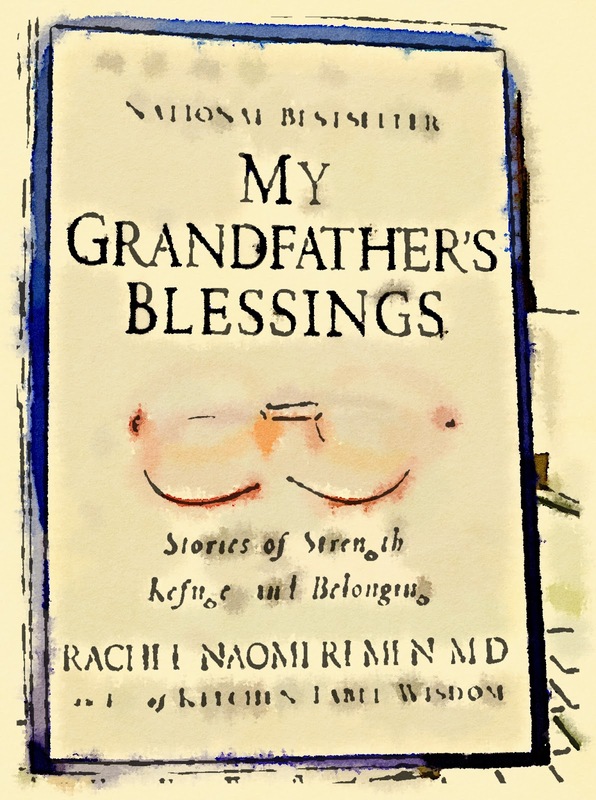 The book is My Grandfather's Blessings: Stories of Strength, Refuge and Belonging, by Rachel Naomi Remen. Remen is a physician and an author (she also wrote Kitchen Table Wisdom) and a professor. She is a doctor to patients with cancer and also counsels doctors who work with cancer or terminal patients. Each chapter in the book is a short story of blessing, healing, or inspiration. In one chapter (called, Holding on to The Heart), Remen writes about a bereavement center in Tacoma, Washington called Bridges. The center helps children who are suffering from a death. The center passes out soft little "Feelie Hearts" to every child. 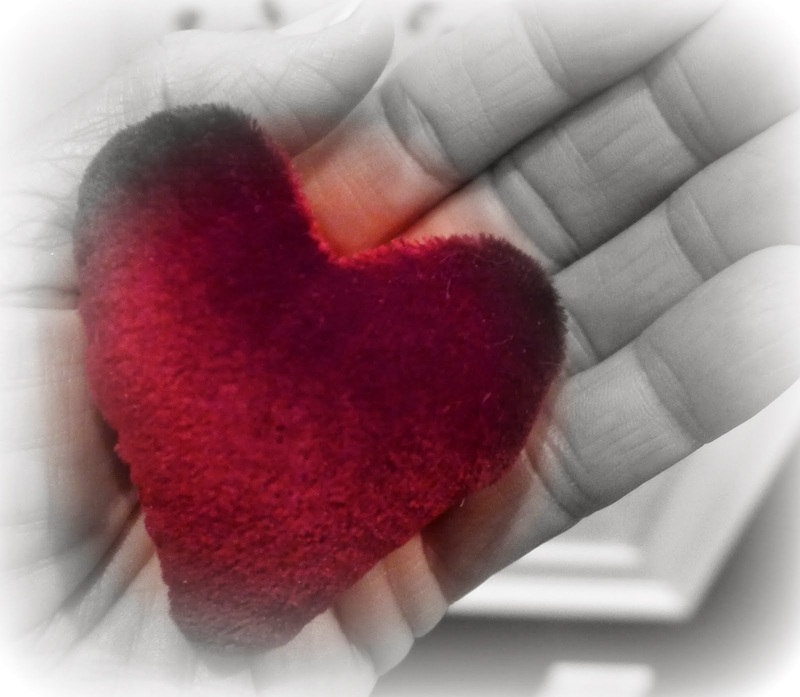 The hearts are small enough to fit in a pocket and they give the children something tangible and comforting to hold on to as they grieve. They are made from bathrobes or running suits or anything that is plushy, like velvet or velour and they are all hand sewn by volunteers. Remen writes that she wrote to the women who made the hearts and told them about her program where she teaches medical students and physicians how to grieve and heal when they suffer the loss of a patient. She calls her course, "The Art of Healing." She explains that physicians are trained to feel shame about their emotions over the loss of a patient and to view these responses as unprofessional. She also writes that it is only when we are able to grieve well that we can truly heal from a great loss find the permission to live again. They sent her hundreds of the little "Feelie Hearts" to pass out to her students. They fit perfectly inside the pocket of their white coats, she says. As I was reading the story of the little "Feelie Hearts", I thought about the person who I was going to be lending the book to. This person is surrounded by grief right now and is also in the healing business for people who hurt. And I thought about how nice it would be for him to receive one of these little hearts too. This book is not new and I had no idea if the information about the bereavement center or the hearts were still current. I searched and found the center online. They had the information on how to order the hearts on their website but they do not take credit cards and you have to download a form and mail in a check. I figured that could take a while. So I emailed the contact person at the center to give him the heads up that my order would be coming soon in case it would help expedite the order and then I left to mail my check. 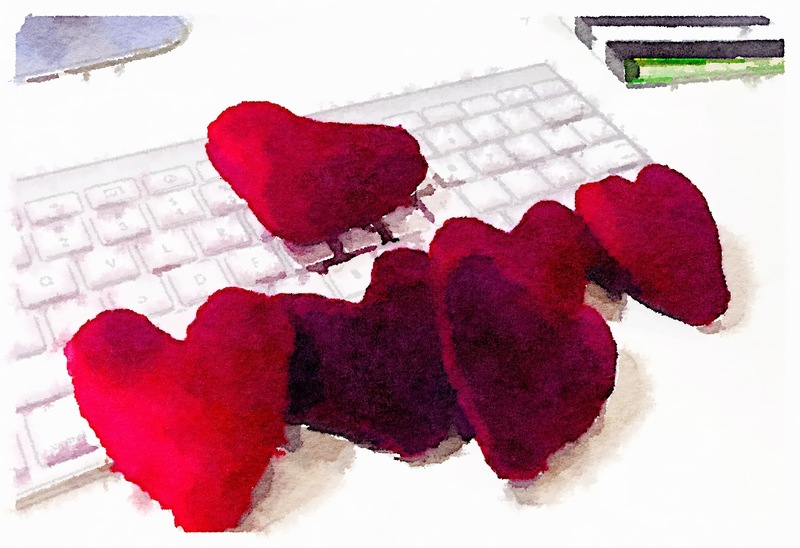 When I arrived back in my office there was a lovely email from the center saying that my hearts were already in the mail and I should receive them soon. How lovely is that? The hearts arrived yesterday with a note that over 100,000 "Feelie Hearts" have been handed out at Bridges since they first started using them in 1988. You can read more about the hearts here.